I am an avid reader of Not Quite Nigella’s blog, all her recipes and adventures look amazing, to tell you the truth I envy her and her adventures. 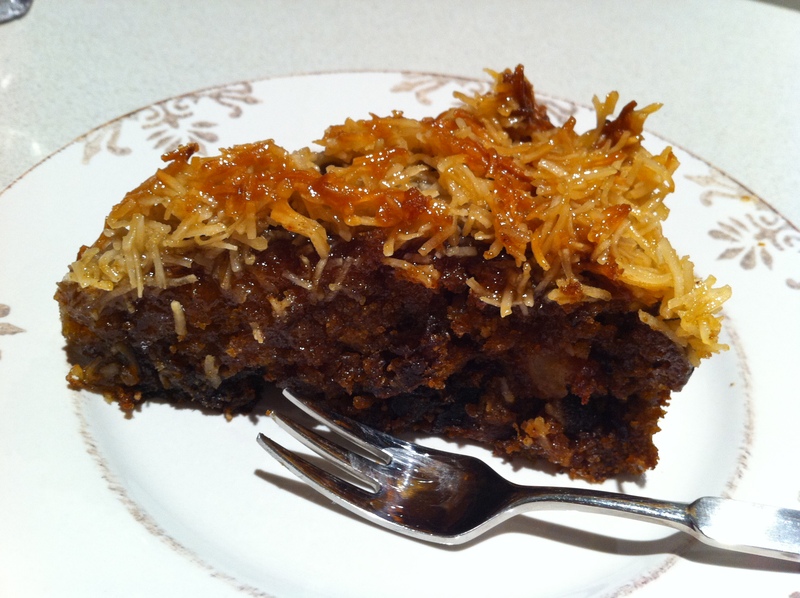 However up until now I haven’t got around to trying any of her recipes, mostly because I haven’t done much baking up until the last month, and also because I have had trouble re-creating glutenous recipes in the past (e.g. the scones I made last weekend which didn’t rise!). While it takes a bit of time to prepare, it is not hard, and is definitely worth the time. 1. Preheat oven to 180C. 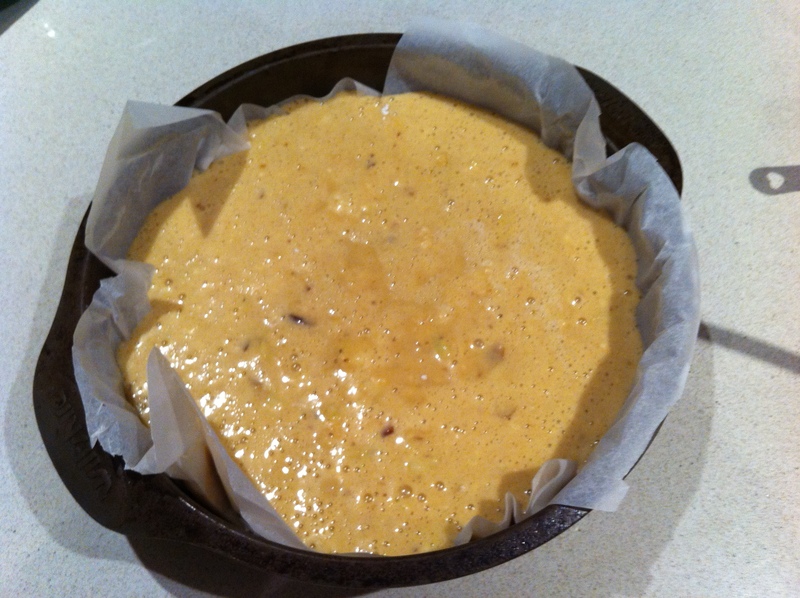 Line a cake tin with baking paper. 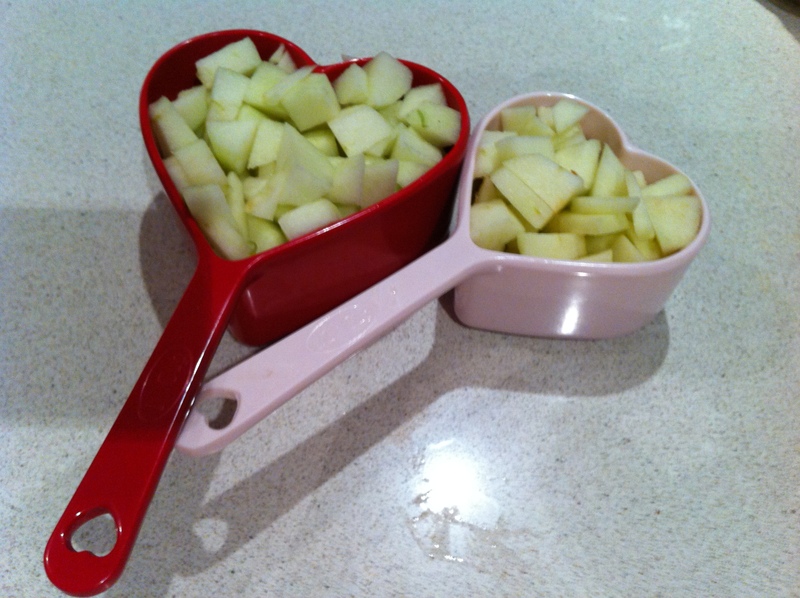 In a bowl, place the chopped apple, dates, bicarb and boiling water and the bicarb should fizz. Allow to stand for 10 minutes making sure that the fruit sits in the water. 2. Beat the the eggs, sugar, vanilla essence and oil with an electric mixer for 3 minutes. 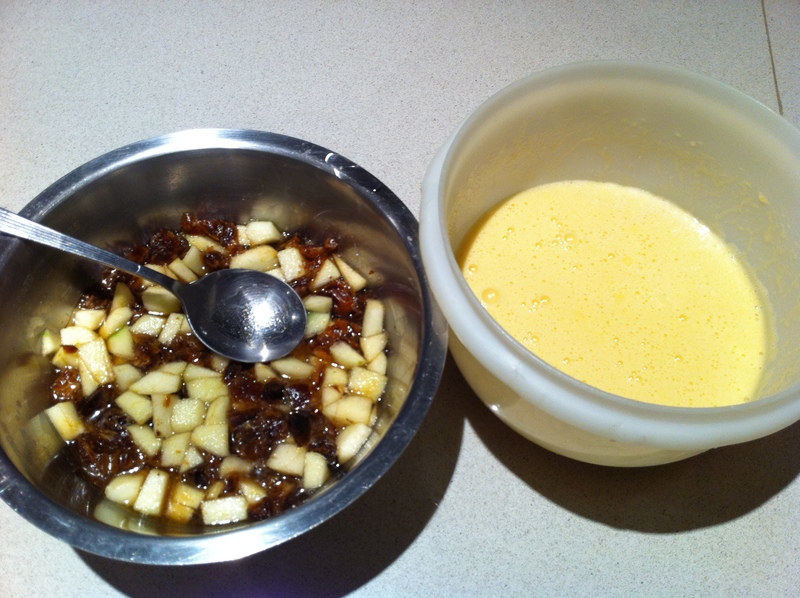 Add the apple and date mixture, water and all, to this mix and fold to combine. Then fold into the salt, flour and baking powder folding gently, ensuring that it is completely mixed. Bake for 50 minutes (I had to cook mine for 60 minutes putting tin foil over it for the last 20 so the top didn’t burn) or until a skewer inserted in the centre comes out clean. 3.While the cake is baking, make the topping. 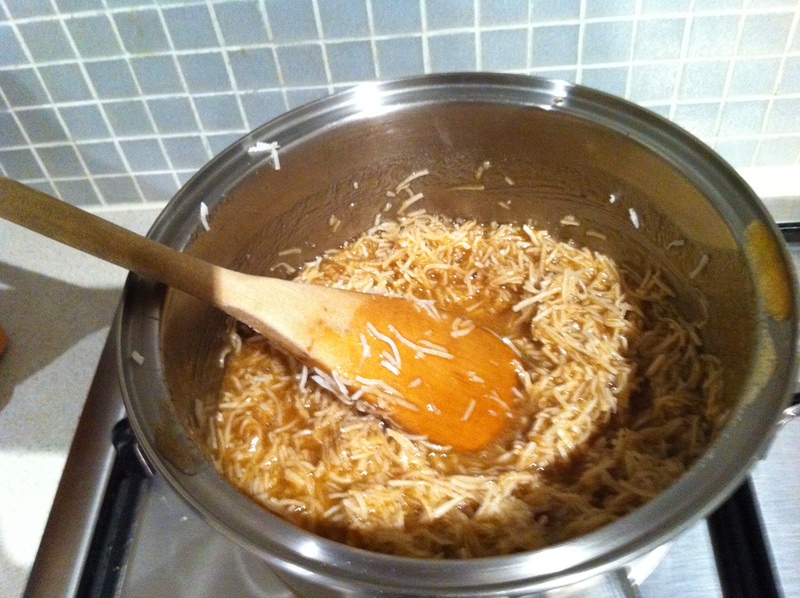 In a small saucepan on low heat, melt the butter along with the cream, brown sugar, maple syrup and vanilla. Once melted and it becomes a rich butterscotchy maple sauce, add in the coconut. 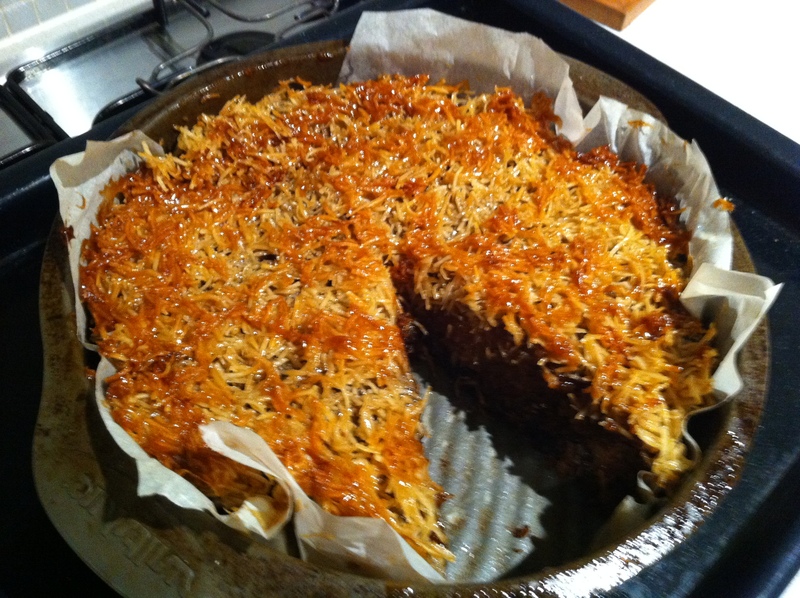 4.When the cake is done, take the tin out of the oven and then spread over the topping reaching to all of the sides. Place cake in the oven on the same temperature and bake for another 20 minutes until the topping is golden. I only recently came across your blog. This looks great! Yay, I was going to figure out how to ‘gluten-free’ the cake myself but you’ve done the hard work for us. Thankyou! omg i tried this cake and it is so delicious! i loved the coconut on top drenched in syrup! my hips hate me, but its worth it!!! love this recipe! Thanks for sharing! This looks like a delicious Gluten Free Cake. It looks soooo delicious. You should implement an ordering system on your blog coz I would pay to have you make me something that looks that good. Yum!